Southern Wisconsin is blessed with having numerous lakes of all sizes with good populations of crappies and I’m writing and talking about slab-size crappies, not the 8 inch ones that you can see through. Some of the better locations and waters are the Madison Chain of Lakes (Lake Mendota, Lake Monona, Lake Kegonsa, and Lake Waubesa) and a little farther north is Lake Wisconsin which has some of the best size crappies in the southern part of the state. Lake Wisconsin was formed when dams were constructed on the Wisconsin River for hydro-electric power at Wisconsin Dells and Prairie du Sac. The total acreage for Lake Wisconsin is almost 5,000 acres which has a constant flow and the lake’s water supply is replenished every 4 days and produces big crappies. This winter has been one of the coldest and snowiest that I can remember. I’ve keep a fishing journal for over 25 years and this winter of 2013-2014 is right up there with the winter of 1996 which was similar to this year with over 50 days with below zero temperatures and large amount of snow depending on what part of the state you live in. Unless something unusual happens in the next month or so, the early spring fishing is going to be a little later with crappies not active till early April or later. 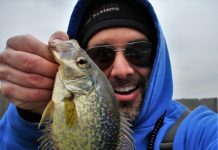 The key to catching early spring crappies is the water temperature where 50 degrees and up seems to be the key for an active bite. What you’re looking for soon after ice out is quiet and shallow bays with plenty of structure for the hungry crappies. Bays that have plenty of cover and structure that will attract the crappies to brush piles, shoreline cover, fallen trees, and piers (especially wooden piers). The wooden piers provide shade, cover, forage, and warm quicker with the wood attracting sunlight and warming the nearby waters. The wooden piers also help by getting the algae growing which attracts bugs and insects and gets the food cycle in motion attracting bait fish and the crappies. The days of wooden piers are diminishing and the newer metal piers don’t have the same warming qualities as the wood piers. So, whenever possible fish the wooden piers for early spring crappies and other fish! Another important fish attractor is back bays that have a mud bottom because the dark bottom warms the surrounding water quicker which again attracts the crappies. To a fish, just a few degrees, can make a big difference in where you’re going to find crappies. This phenomenon happens on all water and rivers where all fish species will seek out the warmest water that they can find after a cold winter. 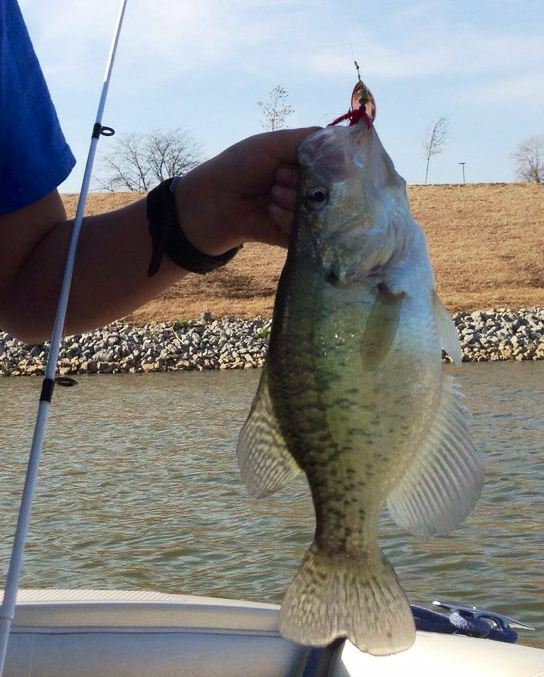 Find the warmest water you can with a dark, mud bottom and some good structure of wooden piers, brush, and fallen trees and you should have a good crappie bite. As I said, the crappies will start to get active once the water hits 50 degrees and they will spawn when the water reaches 60 degrees and slightly higher. Depending on what the weather, crappies will move in and out of these shallow bays. When the weather and water cool down, crappies will move a little deeper and sometimes out of the shallow bays. Then, when the sun comes out and things warm up the crappies will move back into the shallow bays. You don’t have to be on the water at sunrise in the early spring because the water temperature is the key and crappies will usually move into the back bays when the sun is at its highest point of the day when the lake’s water has warmed up. 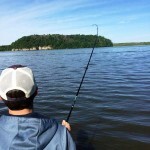 If the weather pattern is up and down, always try to fish water that is a little deeper. Mid-day seems to be my best fishing time for early spring crappies. Crappies are going to want a slow presentation this time of the year. 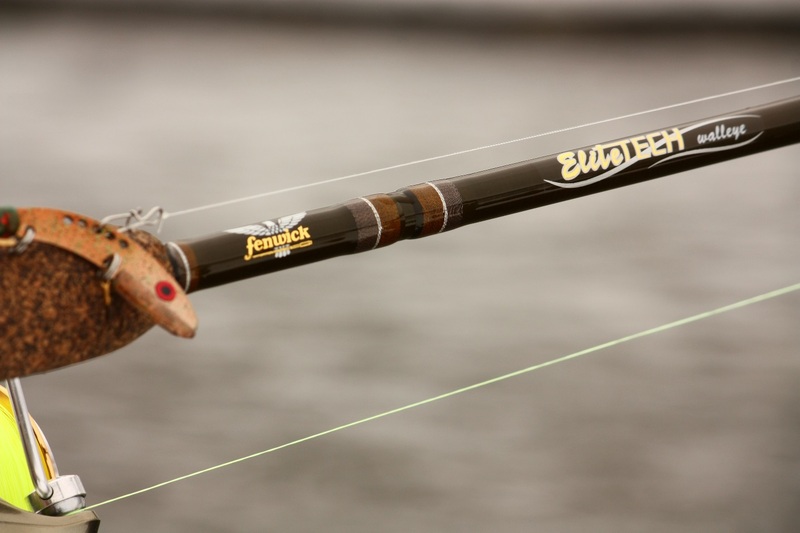 The equipment that you need for crappie fishing doesn’t have to be anything special or “break the bank.” A good light graphite rod 6 ½ to 7 feet long is perfect for making long casts and not spooking the shallow water fish. A good fishing reel is important to complete and balance with your rod, so don’t buy a cheap reel. You want a combination that feels good in your hand. The longer rod allows you to make a long cast and a fast tip let’s you feel the light bite of a spring crappie. I suggest using 4 # monofilament in a green color to match the stained water that you’ll find in most waters. I’ve found that the 4 # test line works better for spring crappies than 6 # test line unless you’re in extremely heavy cover. Berkley Trilene in the green color has been my go to line for years. If you’re dealing with clearer water then you might want to switch to a clear color mono or a fluorocarbon line. Next, attach a slip bobber and a very small micro split shot to an ice fishing jig which you’ve tipped with a few wax worms or spikes. Slip bobbers allow you to change the depth that you’re fishing quickly for crappies that have moved or gone to deeper water. 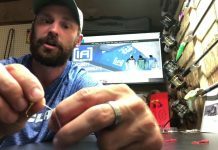 If you’re fishing from shore the “Rocket Bobber” is the one to use because it allows you to cast farther than most slip bobbers and make your presentation more stealth. Be sure to have a good assortment of jigs because the crappies preference can change daily or even hourly. I’ve had good success with the Bait Rigs Cobra jig and the new smaller Slo-Poke jig. A couple other rigs that work well for spring crappies are a # 8 VMC hook fished under a Thill “mini-stealth” float and baited with a crappie minnow. The last rig that I’ll recommend is a one inch tube fished below a small round float anywhere from 15 to 30 inches below the float. 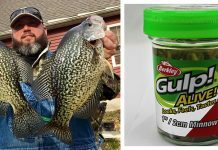 With all these crappie rigs, you want to make long casts toward the shoreline and or the available structure and then slowly work the float back to the boat. Try to make your casts as close to the brush, pier, or trees that you can. Try a stop and go technique while twitching the float on your retrieve. Sometimes, just let the float and jig sit for a little while before retrieving it again. It should be interesting to see what happens this spring after the winter that we’ve had in Wisconsin. There should be plenty of water with all the snow that the northern half of the state has gotten. There is over three feet of ice in most of the state’s lakes and one thing for sure is that the open water will be a week or two behind normal. But, things can change rapidly this time of the year and I’ve caught crappies in very shallow water on a nice sunny day when the shallows warm up at mid day into the 40’s. Temperature and quality structure are important keys for catching early spring crappies. (Mazomanie, WI) Hunter, fisherman, outdoorsman, conservationist, writer, photographer, vidographer, seminar speaker, kid's programmer. 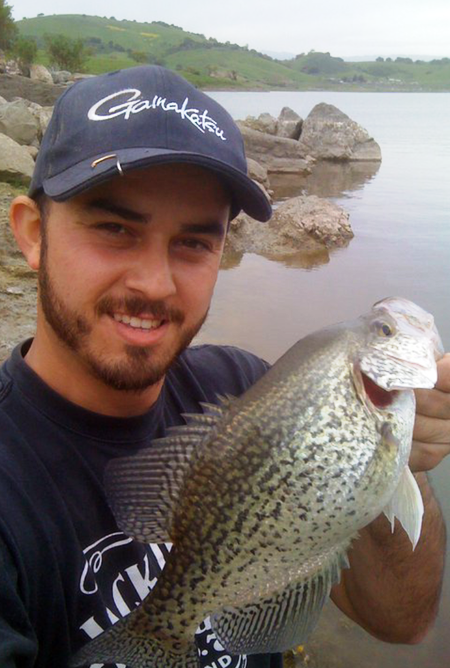 thanks for the crappie info my favorite fish to eat always thought i had to go way north. 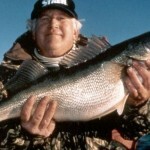 Never fished lake wisconsin,nevr even been there. Perhaps you could give me an idea where to start its a big lake for a guy like me and are they biting now do you know.I appreciate your help thanks again and heres to great fishing. Matt, thanks for stopping by the blog! 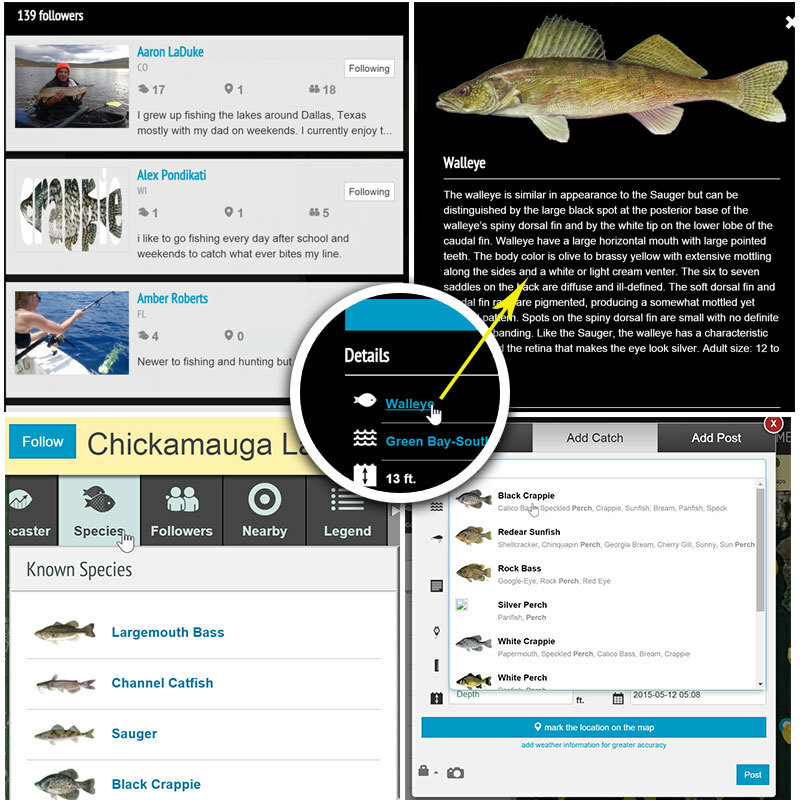 Be sure to checkout the Lake Wisconsin waterway page on Fishidy. Here’s a link: http://www.fishidy.com/map/4ed3a73c41921608fc94af51. 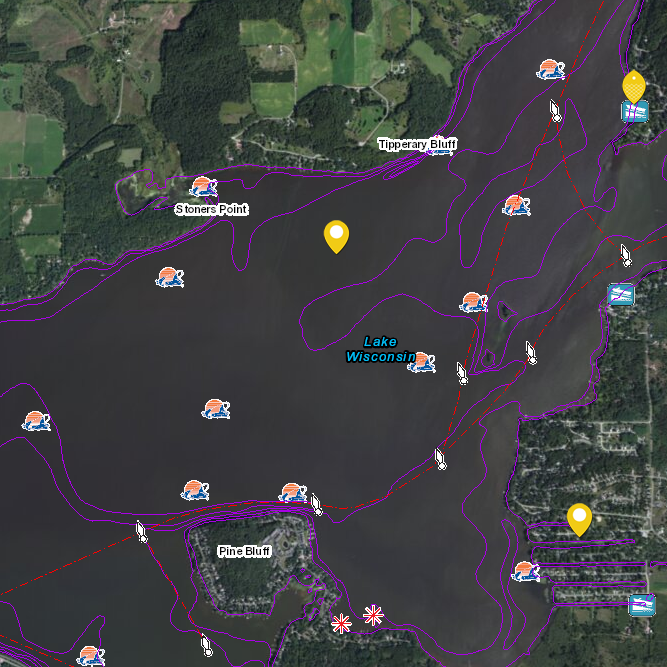 You will need to setup a free account to get a look at the map and all of the publicly marked fishing spots. There’s a lot of great information on this page to get you started on some promising spots. Good luck!